It’s the late 1950s and Bill Morton is about to graduate from college. He’s with a young woman he loves and is considering marrying, and the two of them have plans to do missionary work abroad after they graduate. But then, Bill — who is white — begins to have flashbacks and memories of a childhood spent with a Japanese woman. And so Bill sets out on a mission to discover who this woman is and what their connection is. This journey takes him back to the early days of World War II. Bill was just a toddler and his father, Tom, was a pastor for a Seattle Japanese church. They meet Mitsuko, a newly transplanted member of the congregation from Japan. Mitsuko eventually joins their small family, but with anti-Japanese sentiments running high, things are not easy. The tension hits a peak once Pearl Harbor is bombed and the family of three is torn apart. Bill’s journey to find Mitsuko takes him from Seattle’s International District, to the internment camp in Minidoka, Idaho, to a post-war Japan — with no help from his distant father (who becomes even more distant once Bill begins asking questions and who has kept this past a secret from his son). 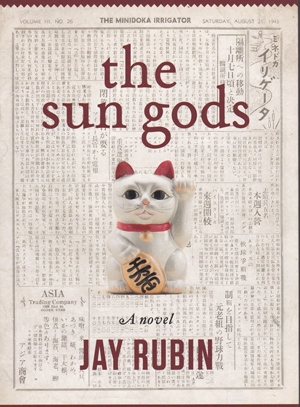 “The Sun Gods” is a story about family, but it is so much more than just that. It is a story about war and what it does to families. It is a story about interracial relationships and the complications that come with them. It is also a story about religion and what religious intolerance can lead to. After finishing the book, it was the latter that stuck with me the most. Some of the characters held strong religious views and, while in some ways this was admirable, Rubin also shows readers the damage this can cause as their refusal to bend even a little bit led to broken relationships. Through this lens, he shows how harmful self-righteousness can be and will have readers thinking twice about their willingness — or lack thereof — to compromise. It has been two years since Robert’s Vietnamese wife Suzy left him, but that hasn’t stopped him from loving her or thinking about her. But as time goes on, Robert, an Oakland cop, works to move on with his life. That is until he is contacted by Sonny, Suzy’s new husband and a violent Vietnamese gambler and smuggler living in Las Vegas. Robert learns that Suzy has disappeared and now Sonny is blackmailing Robert to find her. As he works to find his ex-wife, Robert receives help from some unlikely allies — from both Suzy’s past and present. Along the way, he learns more about his ex-wife than he ever did during their marriage, including some of the details about her life before she came to the United States — some small, some big. “Dragonfish,” is a mystery filled with suspense as Robert chases lead after lead, uncovering the ghosts from Suzy’s past. And while he was aware during their marriage of how reluctant she was to share things about her life before they met, Robert quickly learns just how little he really knew about the woman he loves. Tran seamlessly weaves together the present with the past in this page-turner. Readers will not want to put the book down as they try to figure out what has happened to Suzy. Although she is not present throughout most of the novel, we get to know Suzy through the rest of the characters — just as Robert does with everyone he meets on his mission. 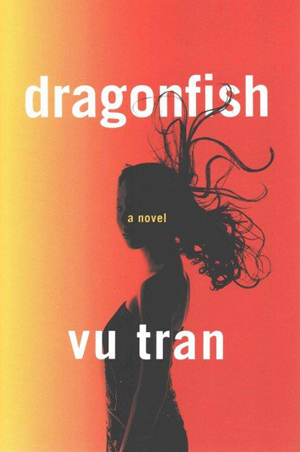 While “Dragonfish” is not a story directly about the Vietnam War, Tran shows the lasting effects war can have on people — from the struggles Suzy faces in her new life in the United States, to the various characters who are separated by countries from their families as a result. In China, the Rong family is synonymous with mathematics. From the patriarch who started an internationally renowned academy of mathematics, to a daughter whose nickname is “Abacus” for her prowess with the calculating tool, almost the entire family are experts in the field. And then there is Rong Jinzhen, Rong “Abacus” Lillie’s grandson. As an autistic math genius, he is pulled away from his academic pursuits and recruited to Unit 701. He becomes the country’s greatest cryptographer and eventually learns that the mastermind behind the legendary and extremely difficult Purple Code may be a former teacher and best friend — essentially his only friend — who now works for China’s enemy. 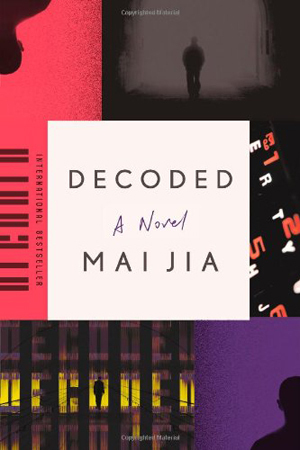 Although “Decoded” is a mystery and a thriller, it is a bit slow to start. The novel opens with the Rong family history and goes several chapters before Jinzhen is even introduced. But all of this background allows readers to understand Jinzhen all the more as he delves deeper into the mysteries and betrayals surrounding his friend and others in his life. And family lineage definitely plays an important role throughout the novel. Jia expertly paints a picture of Jinzhen and his genius and his laser focus on math, which can happen with someone on the autism spectrum. We see how Jinzhen’s mind works and root for him throughout the novel.